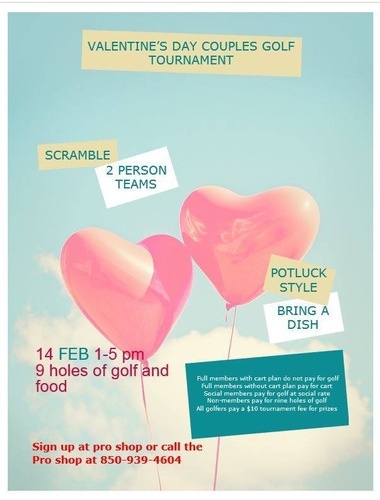 Valentine's Day Tournament and Potluck. Contact Lupe in the Pro Shop if you are interested. Everyone is welcome!